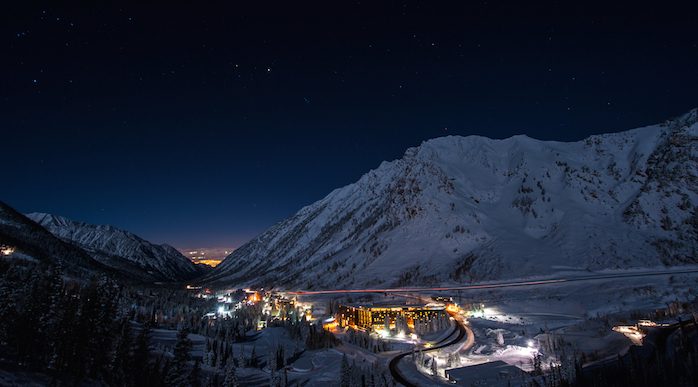 Snowbird Village in Utah, where the 2018 International Artificial Light at Night conference will be held. The International Dark-Sky Association is excited to announce that we are partnering with the University of Utah to host the 5th International Artificial Light at Night (ALAN) conference in 2018. The conference will be held November 12-14, in Snowbird, Utah. Prior to the conference, IDA will host it 2018 Annual General Meeting, November 10-11 at the same venue. The first ALAN conference was held in 2013 in Berlin. The three-day event was sponsored by Verlust der Nacht (the Loss Of The Night Network) and co-sponsored by IDA. Since then, it has been held in Leicester, UK; Sherbrooke, Canada; and Cluj-Napoca, Romania. The ALAN conference series is a multidisciplinary forum that brings together a diverse groups of researchers from across the globe. The series is dedicated to examining all aspects of artificial light at night. The broad scope of the conference extends from how light is produced, where it is present, what effects it has on humans and the environment, how it is perceived by the public and how the benefits and detriments of lighting may be balanced by regulation. The main themes include: Technology and Design, Measurement and Modeling, Society, Biology and Ecology, and Health. Sign up to receive updates about conference details. Previous post: 5 Ways to Celebrate Dark Sky Week!